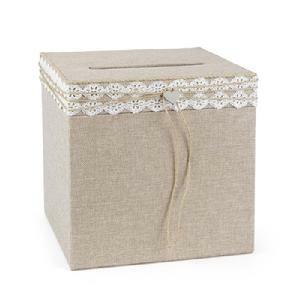 24390 - Natural burlap card box wrapped with lace, jute cording and silver-tone heart charm. Slotted lid opens for retrieving cards. 10" x 10" x 10".